As the month of April arrives, everybody in Japan goes crazy for Hanami—the iconic cherry blossom season. But this year, it seems to have reached earlier as on March 27, cherry blossoms (Somei Yoshino) were in full bloom in Tokyo and people cannot keep their calm. They have been sharing all beautiful pictures of the freshly-bloomed sakura flowers on social media platforms, and it is enthralling! People in big Japanese cities and the countryside alike are all gearing up to spend time outdoors to appreciate the amazing event. 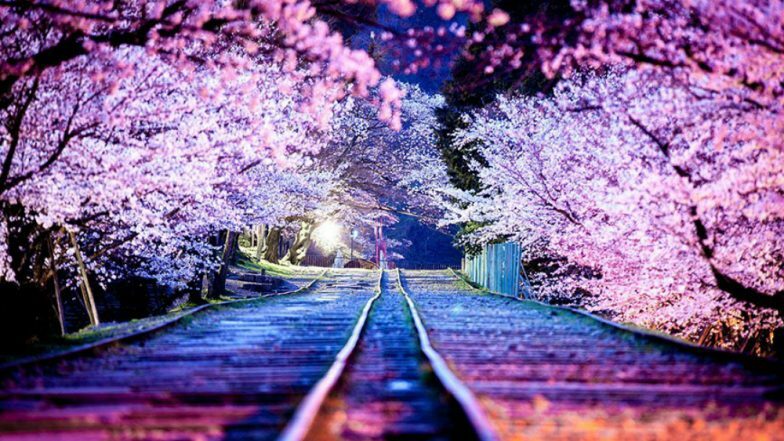 Cherry Blossoms in Japan Turns it Into a Pretty Magical Place Straight Out of a Fairytale! The Japan Meteorological Agency conducts an annual forecast of the cherry blossom season. It has just confirmed that the flowering of Somei Yoshino is the earliest at meteorological stations worldwide. According to the agency, Tokyo is in full bloom seven days earlier than usual and three days later than 2018. However, it has not come as a big surprise for Japan’s residents as, since last months, speculations over the early arriving of sakura day was everywhere on the internet. India International Cherry Blossom Festival 2018 in Shillong. It's a Common Desire by Now! Spring is regarded as the best time of the year to visit Japan as it is also the cherry blossom season, when sakura flowers can be admired at different times at many places across the country. In the past decades, every year, the sakura flowers are seen to bloom earlier because of climate change, as global warming has increasingly anticipated the spring season in Japan. The tradition of Hanami literally means viewing flowers. Surely, Japan is at its magical time right now.